Since 1982, Kingsland Properties, Ltd. and Kingsland Development Corp. have been providing first class quality in real estate development, construction, property management, brokerage, and marketing. Our companies have a common philosophy that we are providing a service, not merely a product to our customers. In addition to residential marketing, consulting and brokerage, Kingsland’s principals and officers 30 plus years' of experience is well known in the real estate brokerage and development industries. From residential subdivisions, such the Mission Court development in Winfield to more complex commercial and industrial construction in the greater Chicagoland area, Kingsland's experience and skill shines through in each of its projects. Kingsland Development Corp. prides itself in providing quality residential land development and home construction in the Suburban Chicago Market. 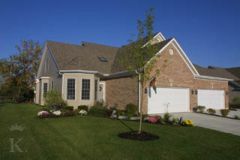 From the entry level town home community, Kingsbrook Crossing in Oswego, to the more luxurious town homes at Kingsbrook Glen in Glen Ellyn and Waverly Court in Wheaton, our uncompromising service and attention to detail is seen again and again with high praises from our satisfied customers. Waverly Court, Wheaton - a community of 18 Luxury town homes with first floor master suites. Mission Court, Winfield – a community of 56 town homes with six different floor plans. Forty-four of the homes have first floor master bedrooms. Kingsbrook Crossing, Oswego – a community of 164 town homes located on six separate courts. Ginger Woods, Aurora - Developed infrastructure of roads, water and sewer for 151 single family lots. Homes were built by two different builders. 77 West Huron, Chicago – Constructed in 1986, 304 luxury apartment homes are found in this 25 story building which also includes a 197 Car Parking Garage and 8,500 sq. ft. of retail space. 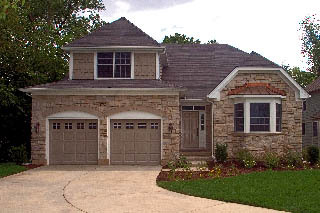 Individual Home Construction - Kingsland also builds custom high-end homes on lots. 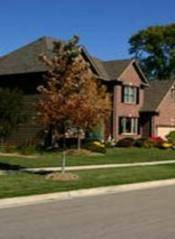 Our fine workmanship can be found in River Forest, Glen Ellyn and Wheaton. 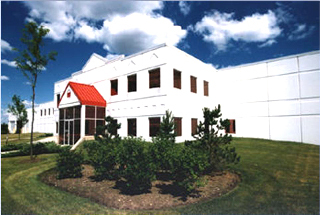 Kingsland Development Corp. and Kingsland Properties, Ltd. have been involved in commercial and industrial development and construction in the suburban Chicago market for over 30 years, constructing and managing buildings from under 10,000 square feet to hundreds of thousands of square feet, both on land marketed by Kingsland Properties, Ltd. as well as individually developed lots on scattered sites. Kingsland also has broad experience in multi-story office building construction; construction of tenant finishes; road construction; site infrastructure improvements and retail land development. Kingsland has developed over 760 acres of commercial, office, and industrial property and 37 buildings comprising 1,625,000 sq. ft.